Published by George Baxter in 1836. This print is produced entirely from wood blocks and is the vignette on title-page to the book "New Year’s Token" published in London by Wm. Darton & Son. 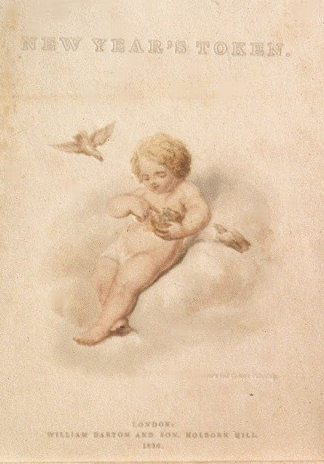 It is a delicate piece of colouring and portrays a little boy with a nest; the parent birds are anxiously watching him.